FORT COLLINS, Colo., May 31, 2018 /PRNewswire/ -- The unofficial start of summer is here, marking the time for poolside lounging, sun-kissed skin and tropical swimsuits. 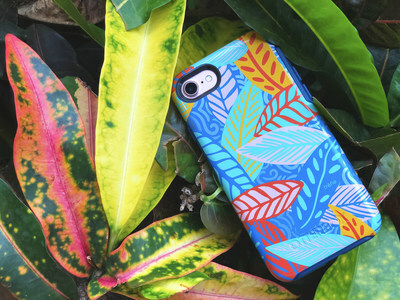 In collaboration with Trèfle Designs, OtterBox combines vibrant, island vibes with trusted protection on a new limited-edition Symmetry Series case design for the latest iPhone and Galaxy devices, available now. Virgin Islands-based designer Kristin Frazer creates resort and beach wear known for bold prints and alluring styles that represent her home island's lifestyle. Symmetry Series 'Anegada by Trèfle' is based on Trèfle's latest swim line, the ZION Capsule Collection, which celebrates Trèfle Designs' tenth anniversary. "The Caribbean is so lush and tropical with inspiration all around," said Frazer. "As a Caribbean designer, it only made sense to be one with my island, my BVI. Combining fashion and technology through accessories is such a fun and creative way to express new concepts. When the opportunity was given to work with OtterBox for a second time, the feeling of excitement, joy and love came flooding back." Limited edition 'Anegada by Trèfle' Symmetry Series cases are available now for iPhone 7/8, $44.95, iPhone 8 Plus/7 Plus, $54.95, iPhone X, $44.95, Galaxy S9, $44.95, and Galaxy S9+, $54.95. 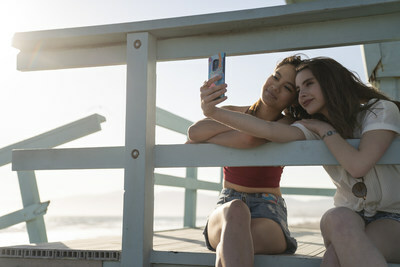 For more information, visit otterbox.com.